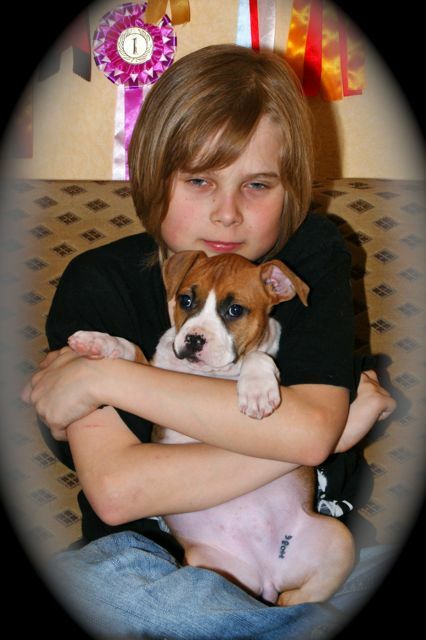 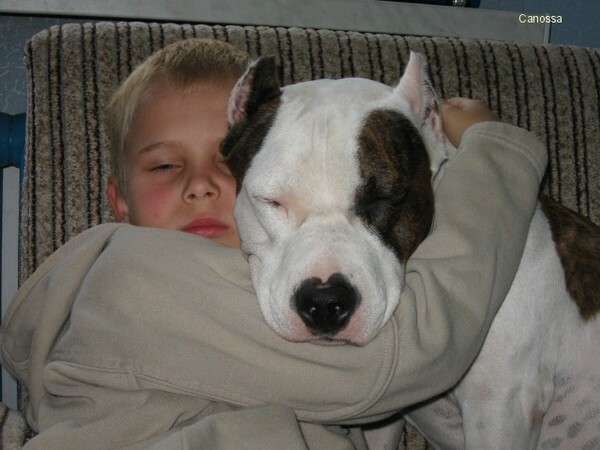 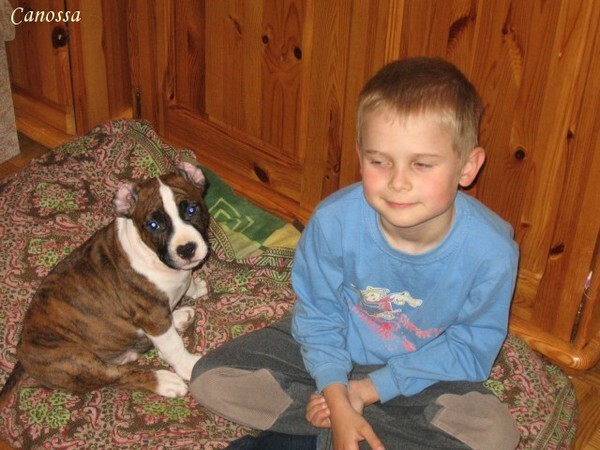 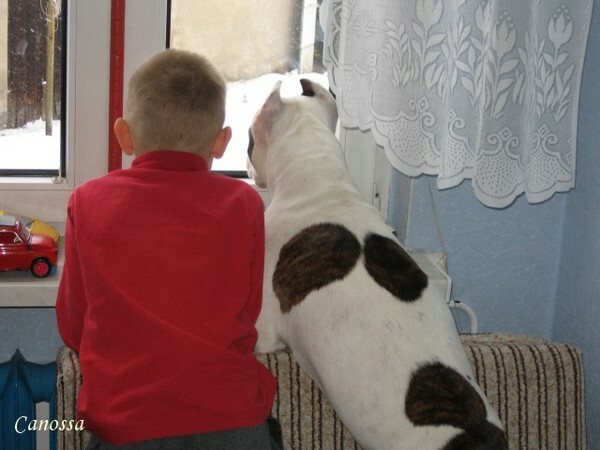 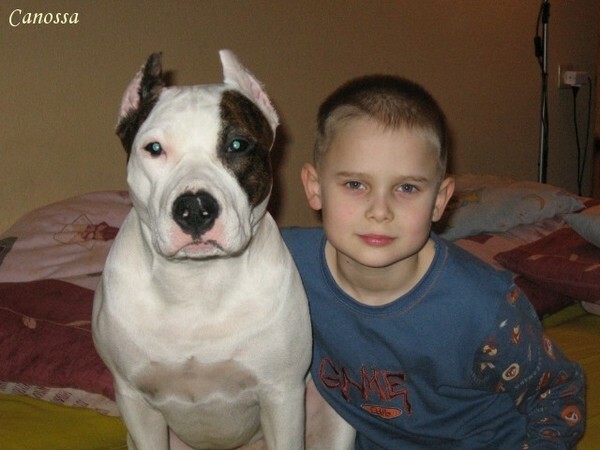 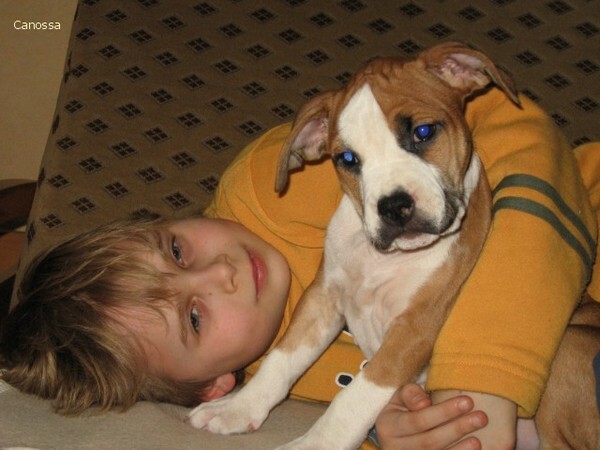 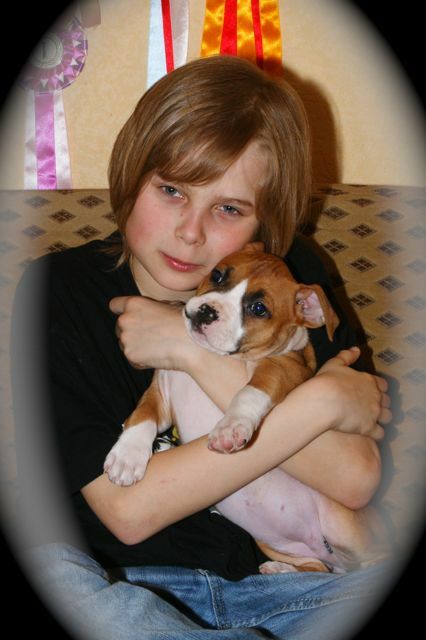 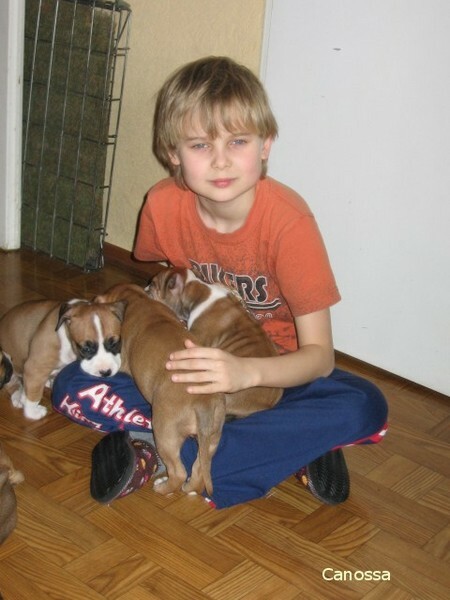 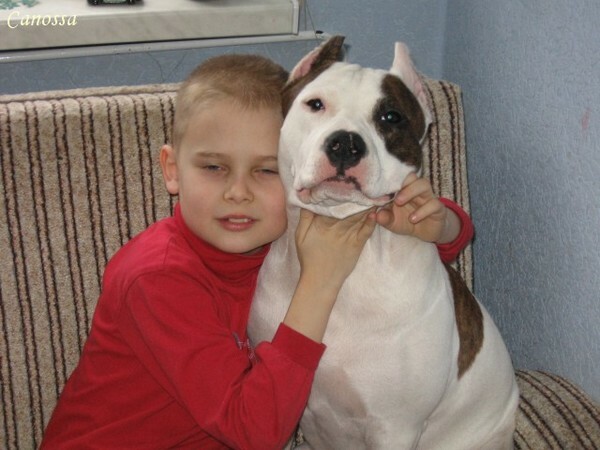 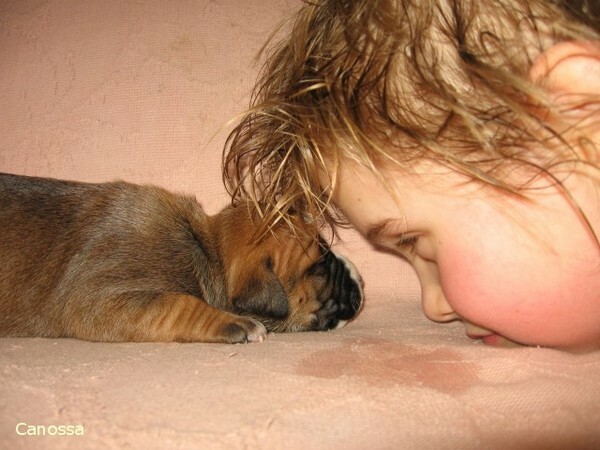 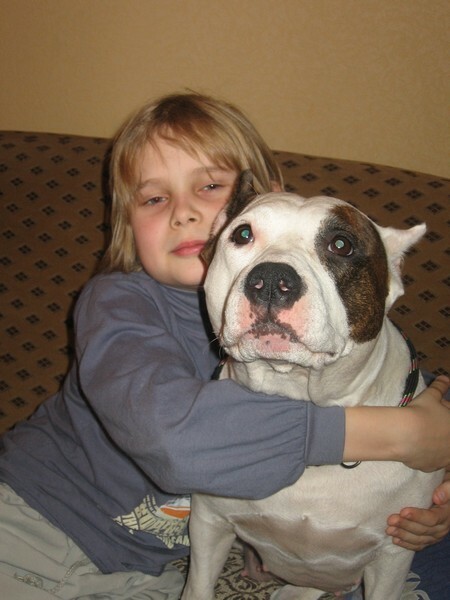 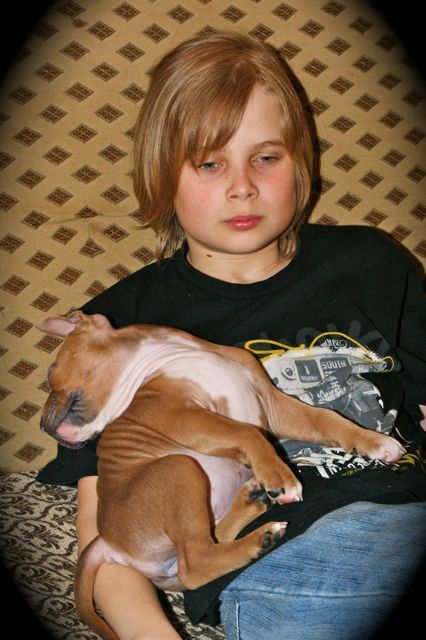 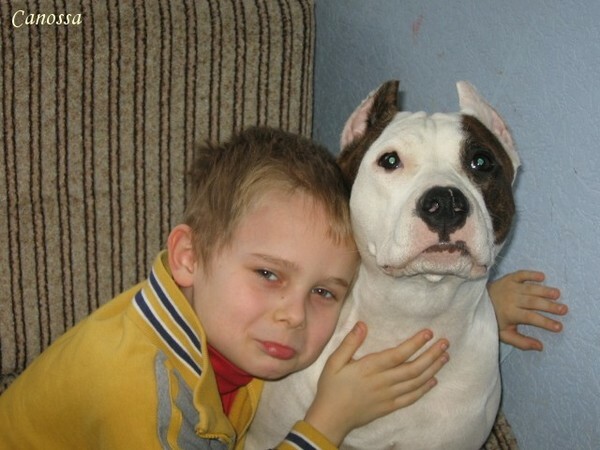 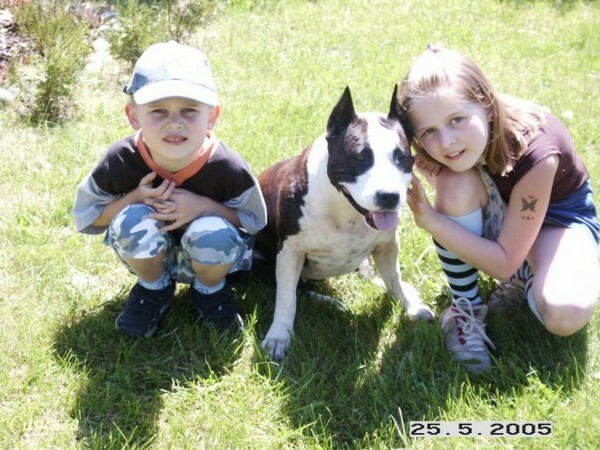 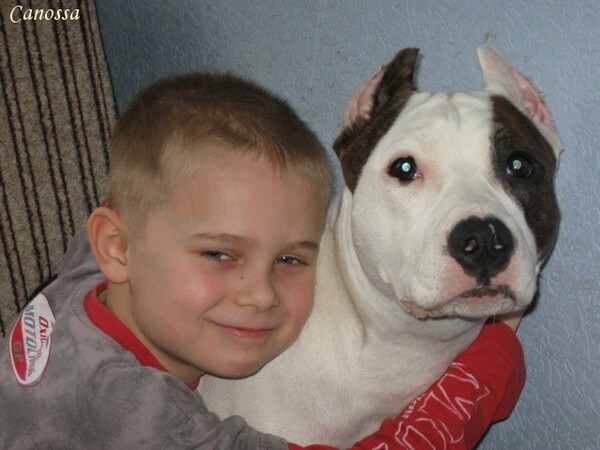 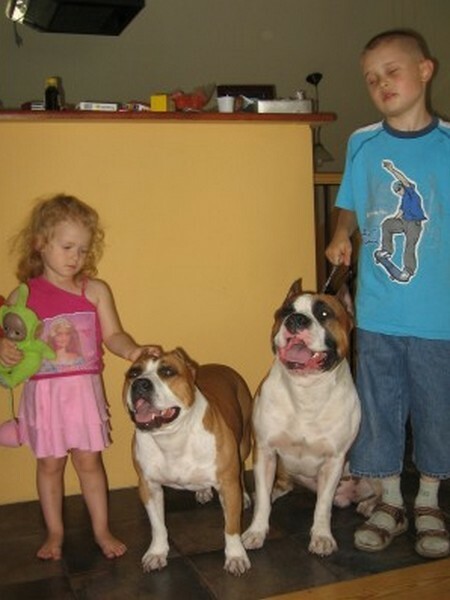 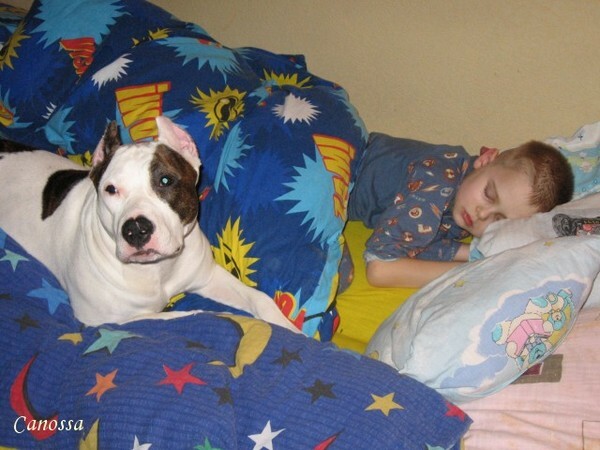 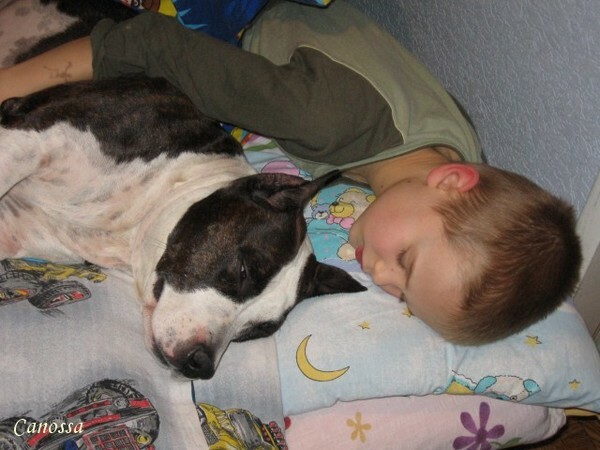 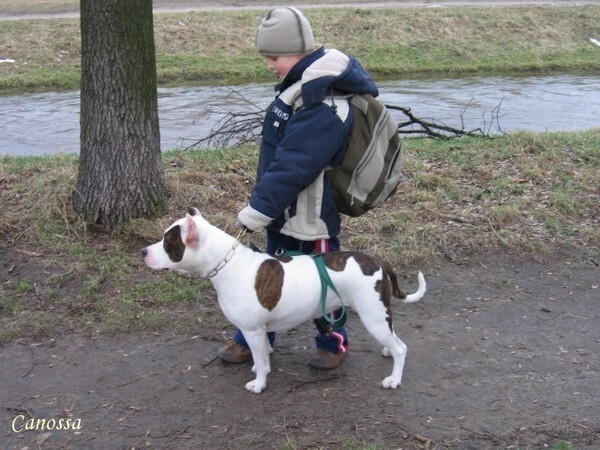 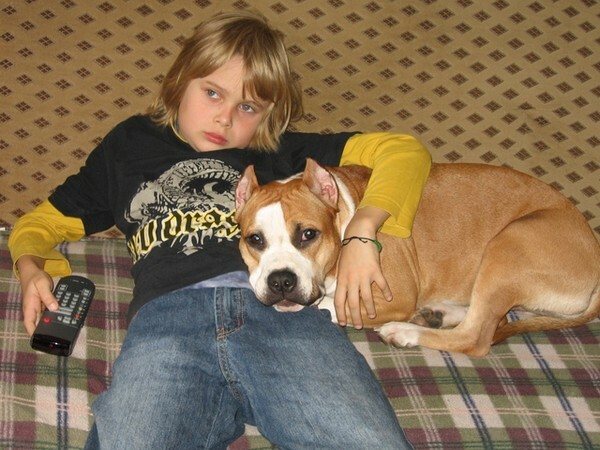 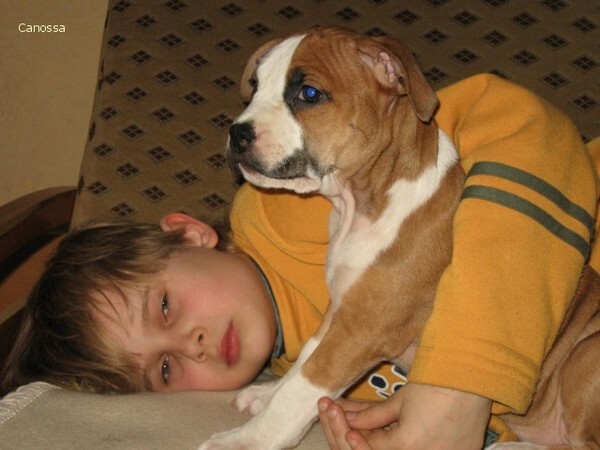 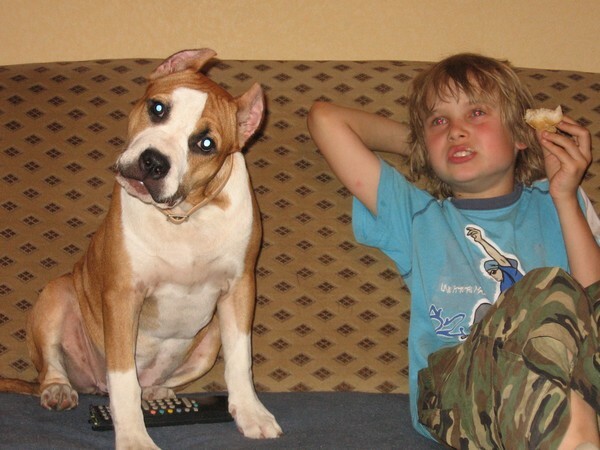 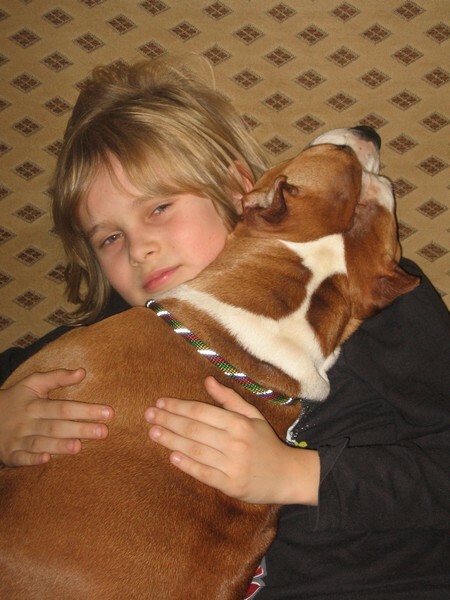 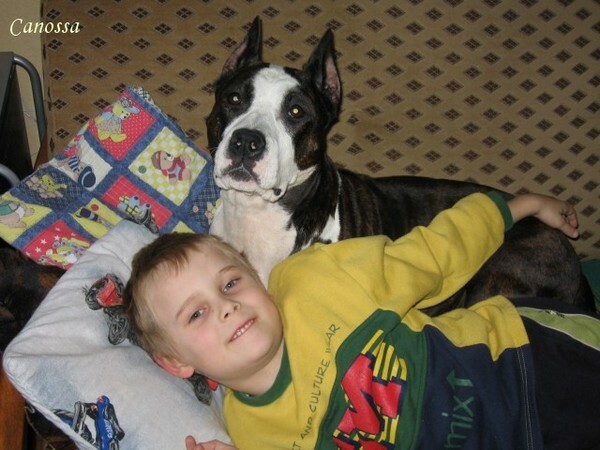 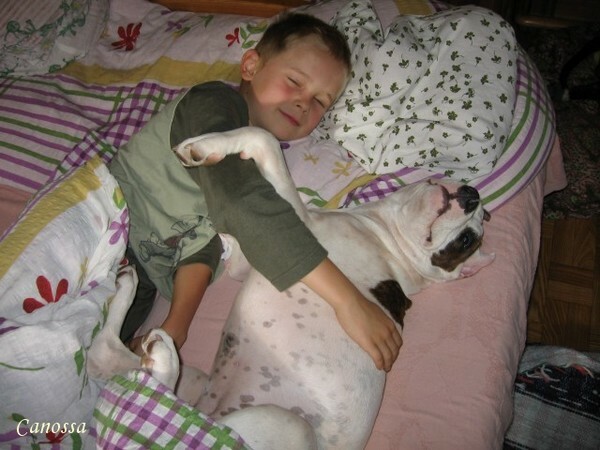 This section is dedicated to wonderful relations between our amstaffs and our child – 9 years old son Norbert. 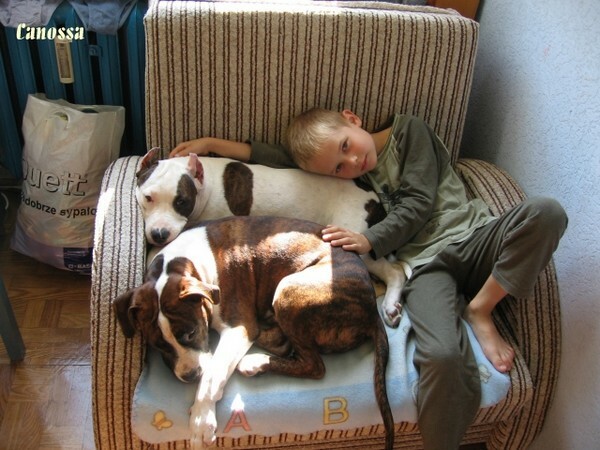 Our dogs are extremly loving him, they are very delicate during plays with him, they love to be near him. 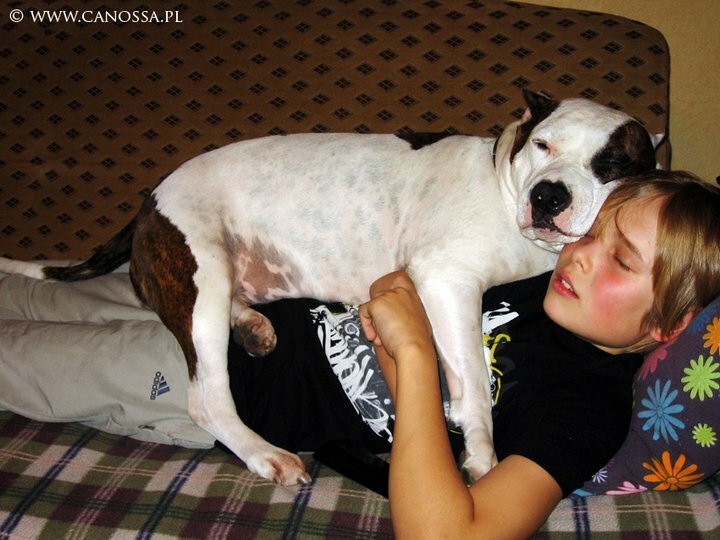 One could say, that he is rising up by our the eldest female, Etna, because she appeard in our home when he was 1,5 years old and they grew up together. 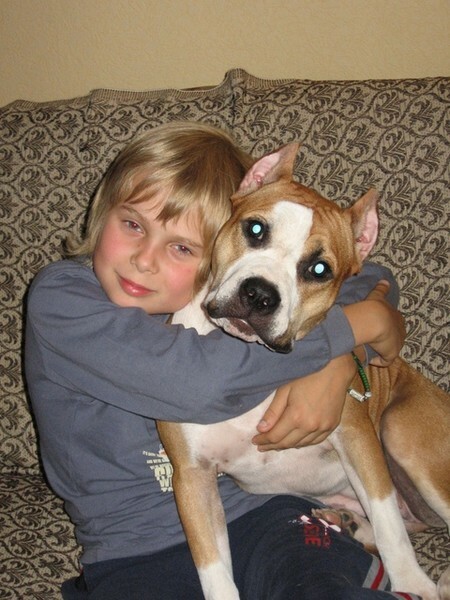 Now his best companion is our the youngest lady Adelajda. 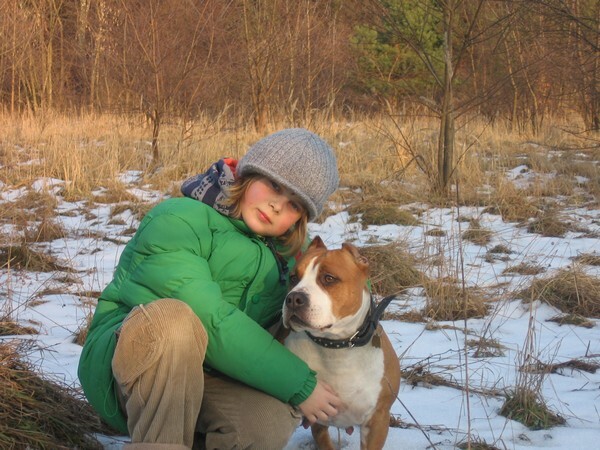 I am proud that our son has so good attitude toward dogs and thanks to my pack, he is loving all living things.